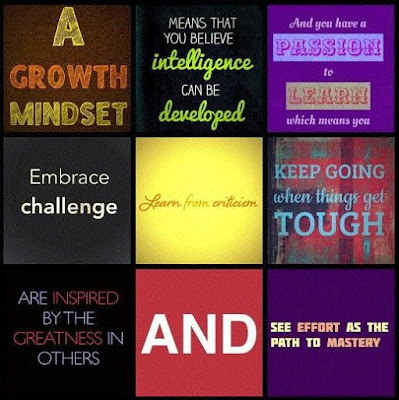 We know the importance of developing a growth mindset for ourselves and for our students. It's really the essence of learning. Carol Dweck's book Mindset is a fantastic contribution for parents, educators, and just about everyone. 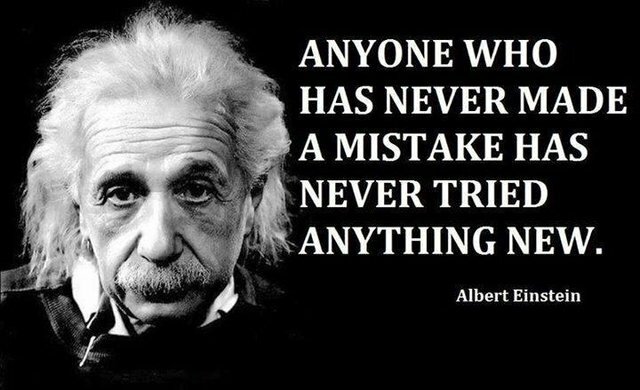 We need to constantly remind ourselves and our students that mistakes are part of the learning process. No one is perfect and perfection is not even the goal. The goal is to learn and grow be the best version of 'you' possible. The only way to journey toward reaching potential is to persevere through mistakes and embrace failures as opportunities. 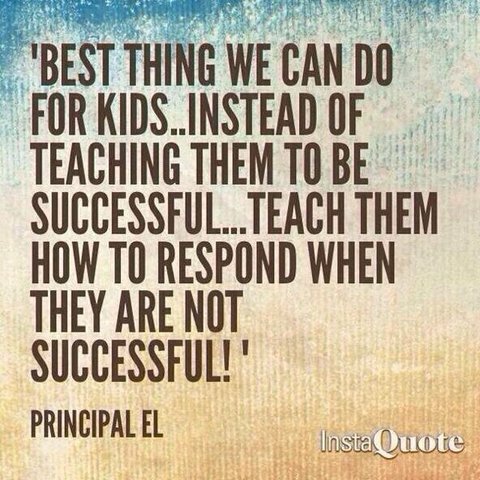 It's important to model this mindset for students. When we make a mistake, we should own it and not view it as a failure. 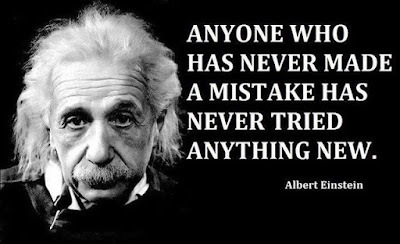 If we are more accepting of our own mistakes and those of others, it encourages risk-taking and trying new things. Fixed-mindset people don't want to try anything new. They only want to do things they know they will likely be successful at doing. We should remind students that even professionals make mistakes, and that's okay. If you are willing to try you might create something awesome or amazing even though you're a kid and might not have as much experience. Our students have unlimited potential! And great teachers help students recognize the incredible unlimited potential they possess. 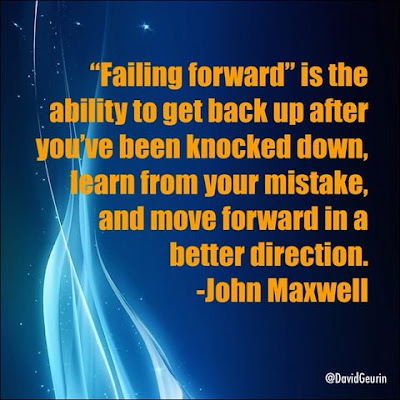 When we do get 'knocked down,' we need to learn from the mistake and move forward in a better direction. 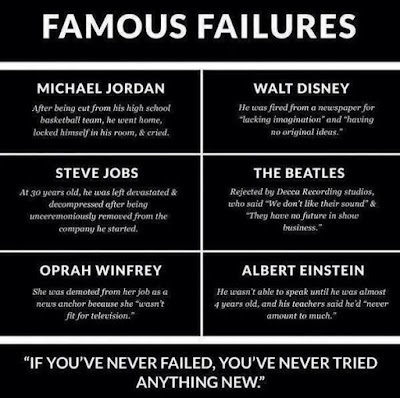 There are so many stories of famous and not-so-famous people who used failures as opportunities for eventual success. 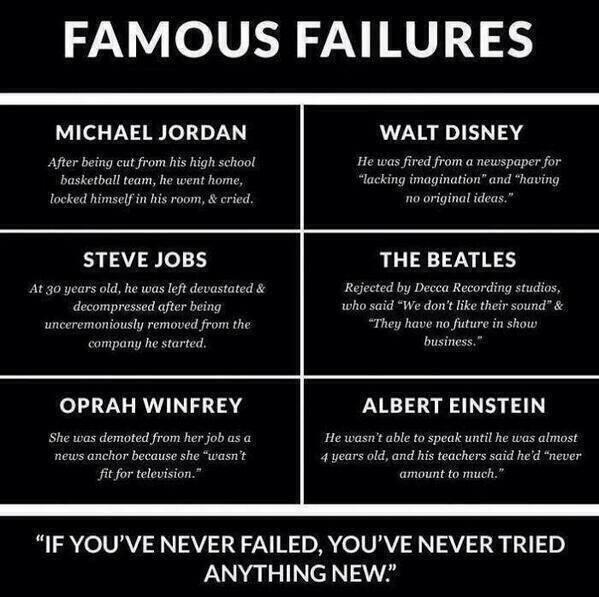 Below are a few examples of people who are famous failures. In spite of significant setbacks and remarkable failures, they became some of the most successful people in our world. 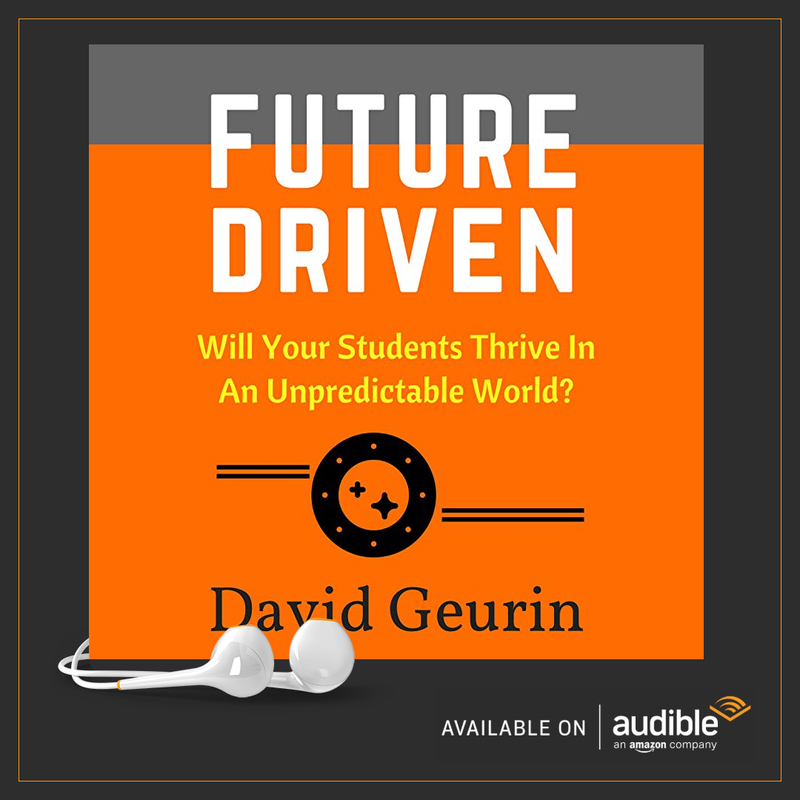 When students are having setbacks, and they are frustrated and maybe we are frustrated, we need to think about what they are becoming and not just see them for who they are right now. 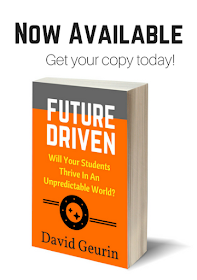 You never know, you might just have the next Steve Jobs or Walt Disney in your classroom. 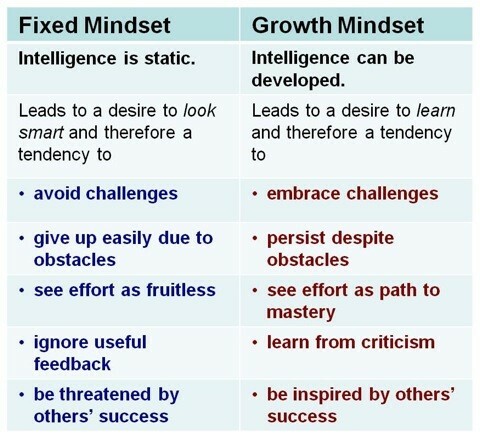 This image contrasts the fixed mindset to the growth mindset. It provides a helpful snapshot of how a growth mindset promotes effort, learning, and a willingness to take on challenges. This image reminds us that intelligence can be developed. Physical exercise help make our muscles stronger, but we can also develop our brain by exercising it. Effort is the path to mastery. We should always recognize and applaud effort, instead of focusing on the end result. Did you try? Did you give your best? If you didn't get the result you wanted, what will you differently next time? This image via @JackieGerstein explains how educators can assist learners in developing a growth mindset. 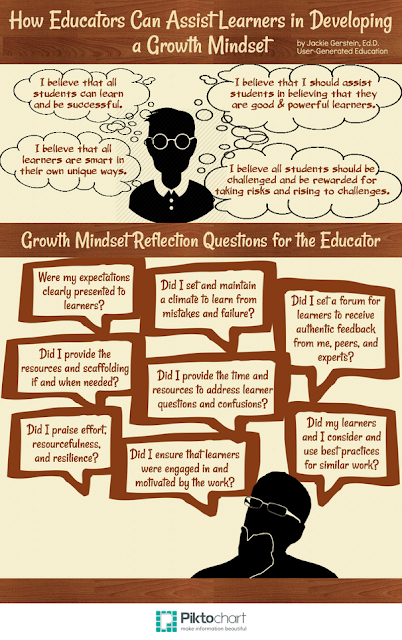 This graphic has excellent questions to guide teachers in promoting growth mindset! 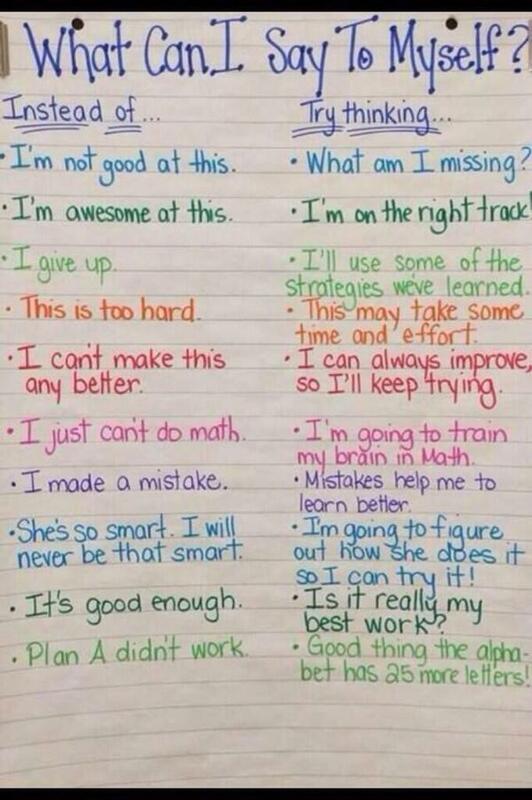 When students understand growth mindset, they will view feedback as an opportunity to grow. 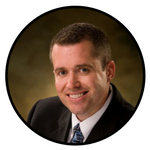 If we are truly interested in growing, we will seek the negative feedback to know what we need to do better. Every teacher should consider posting something like this in the classroom. Our words matter. If we tell ourselves growth-focused statements it can really make a difference in how we approach challenges we face. There's a big difference between failing and being a failure. 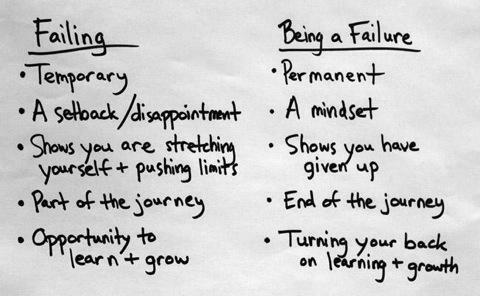 This graphic explores why failing is helpful, whereas being a failure can be avoided by how we think and react to setbacks. This quote from @PrincipalEl is one of my all-time favorites. 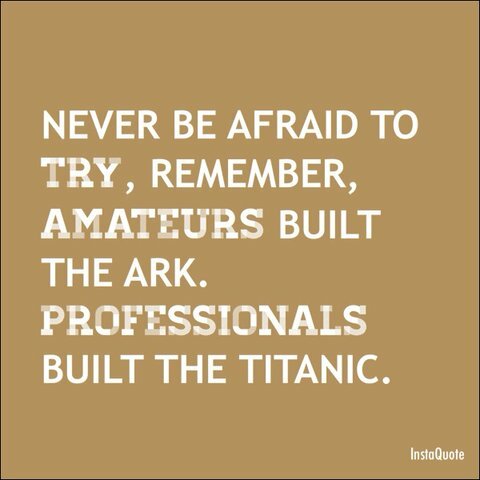 Success isn't a fixed quality or something we reach and then our journey is done. Success is about how we respond when we experience failures. We need to teach students that trying hard and pressing forward is more valuable than success. Resilience is an important life-skill.